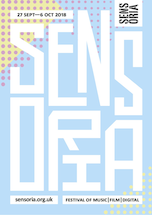 RESONATOR is Sensoria’s project for young people aged 14 – 18. Sensoria has successfully devised and delivered the Festivals Unit of the Creative and Media Diplomas. Staff give a step by step guide how to run a festival to 14 – 16 year olds. The organisation also delivers a wide range of music related workshops for all ages.